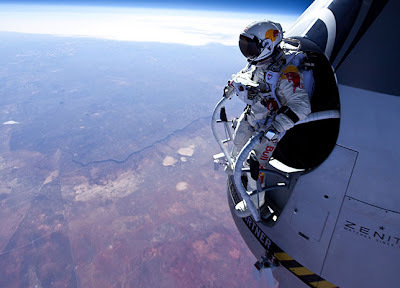 Felix Baumgartner. Well done son. I was eating a baked potato whilst the Austrian was jumping out of a balloon at 128,000 feet. He missed out on one hell of a potato though.